Have you heard about the HUGE Cyber Monday (+Tuesday) sale on TeachersPayTeachers!?!? Check out my goodies here! I think you will love some of my new Christmas math products! They are perfect for small group activities and math stations in December. Keep your kiddos engaged and working hard before Christmas break! 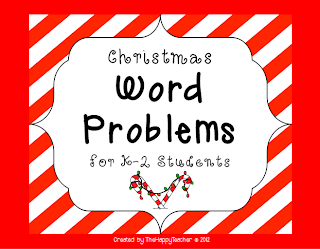 FREE Christmas Word Problems! 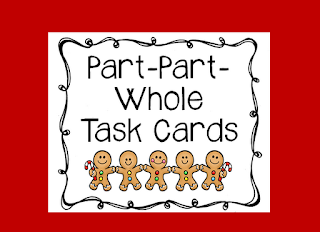 Use these task cards at a station or as a class scavenger hunt! 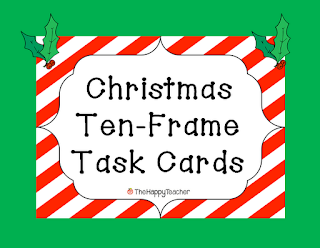 These Ten-Frame Task Cards and Part-Part-Whole Task Cards are great for addition/subtraction practice! HI! 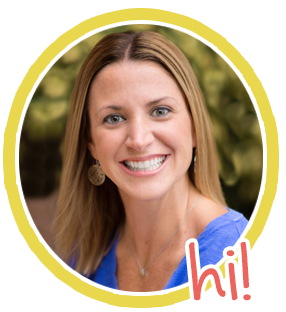 I just came across your blog and I am now your newest follower! I also want to let you know that I nominated you for the Liebster Blog Award! Visit my blog and find out more about the award! I just nomimated you for the liebster blog award! Head over to my blog to check out the details! Hello! I am nominating you for the Liebster Award also! Check out my blog for details!